How do low income families qualify for a boiler grant? Grants are currently available for low income families with qualifying criteria to put towards replacing broken or inefficient boilers (please note that currently we can only accept applications for broken boilers). Applying is completely free of charge and can be started by entering your postcode on this page. Once you have submitted your application, one of our friendly customer service team will contact you promptly to talk you through the process and verify your qualification to proceed. The ECO (Energy Company Obligation) scheme is a government led initiative to help low income households reduce their energy bills. There is a legal obligation on larger energy companies including the “Big Six” to meet targets of improving fuel efficiency. *If you claim Child Benefit we will need to ask some additional questions to check if you qualify. Further criteria apply and you can see the full list of qualifying criteria here. 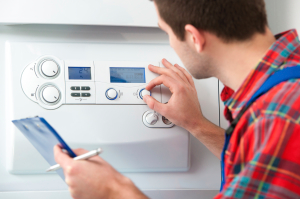 You will need to have details of the make and model of your boiler and its approximate age. You will also need the paper work for your tax credit or income related benefits to confirm your eligibility. Once this is confirmed, if we are able to find an installer with funding in your area, the ECO scheme approved company assigned will send a qualified surveyor to view the property and finish the final qualifying checks before the grant is approved. The installation will then be carried out by a Gas Safe registered and approved installer (or an OFTEC registered installer for oil boilers). 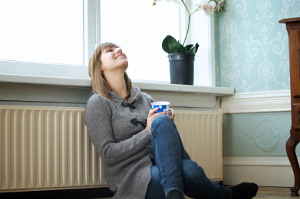 Your new highly efficient condensing gas boiler will start saving you money on your energy bills helping you to heat your home more affordably. 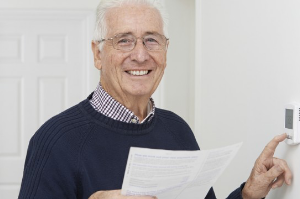 Please note that even if you qualify, you may be required to make a contribution towards the new boiler but savings on your ongoing energy bills should offset that. Our reputation is built on trust and recommendations of the 30,000+ homes we have already assisted with their applications. You can read some of the customer feedback on our service to reassure you that you are in safe hands. "... I'm a mother of four small children and have had no hot water for basic tasks like washing hands doing dishes and baths,I now feel things are well on there way to being sorted after a highly stressful week. A big thank you from me."